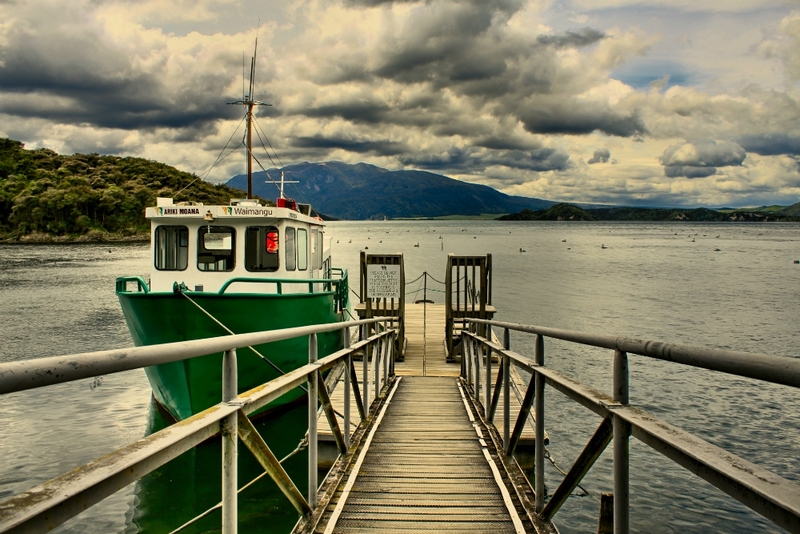 Rotorua city is surrounded by a plethora of beautiful lakes - 16 in all. 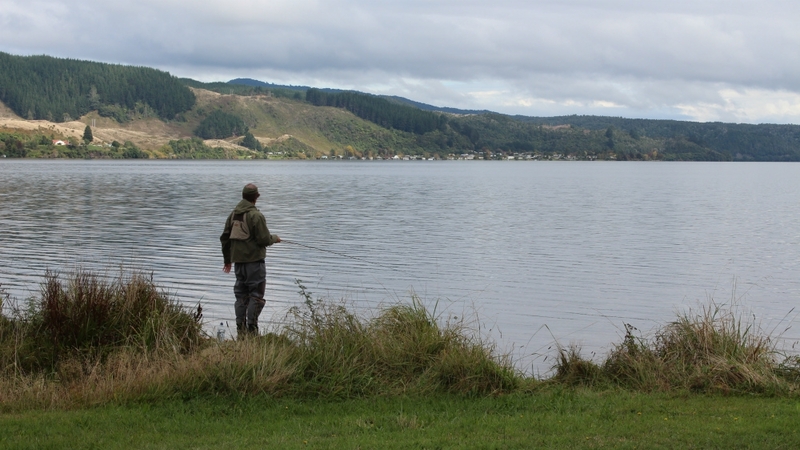 Most of the lakes are open all year round, and if fishing is your thing, then you'll be spoiled for choice. 90% of the waters are filled with various trout, so they're a magnet for fly fishermen, anglers and holidaymakers. You can simply stand by the shoreline and throw your line in, or take a boat further out and make a day of it. Each lake has its own unique personality, so it's worth hiring a car and doing a tour so you can discover your perfect picnic spot. 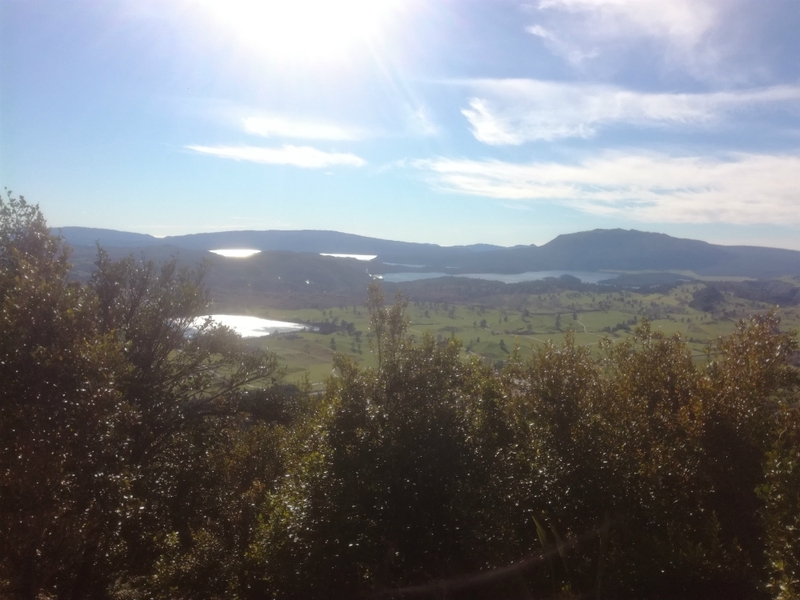 Many of the lakes also cater for water sports and some have cafes and camping spots. 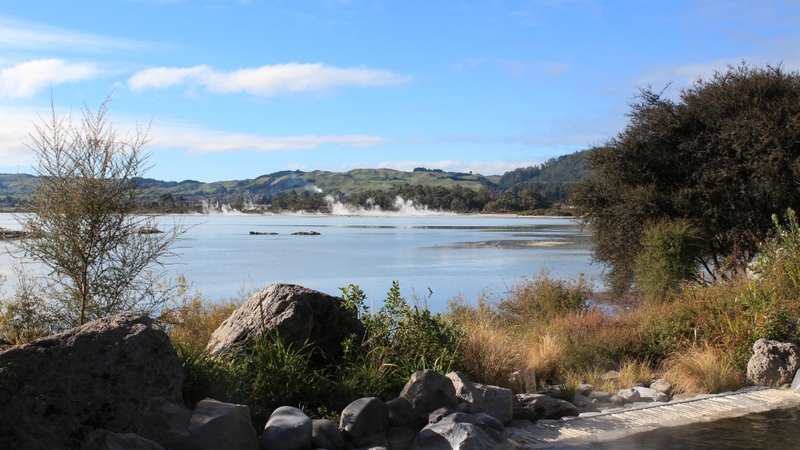 Here's our quick guide to Rotorua's Lakes, from the largest to smallest. 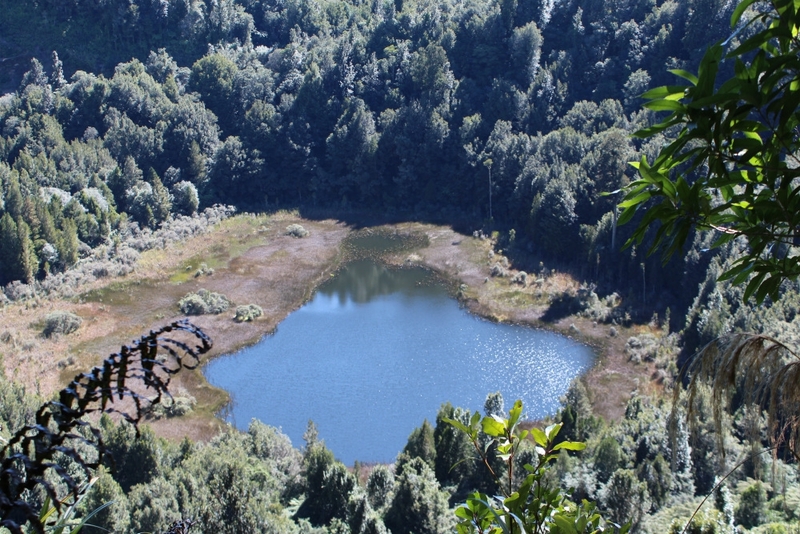 The name means 'little lake' in Maori, despite its large size. 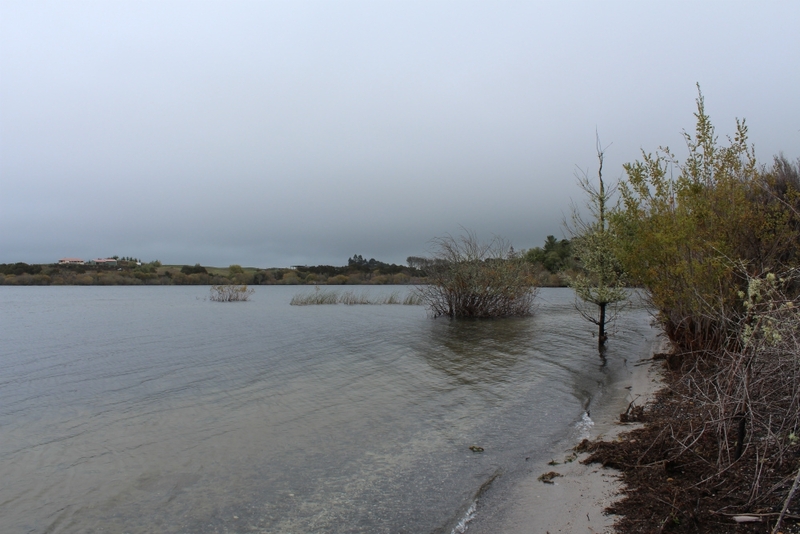 The lake used to have a severe algae problem, because of nearby agricultural slurry. 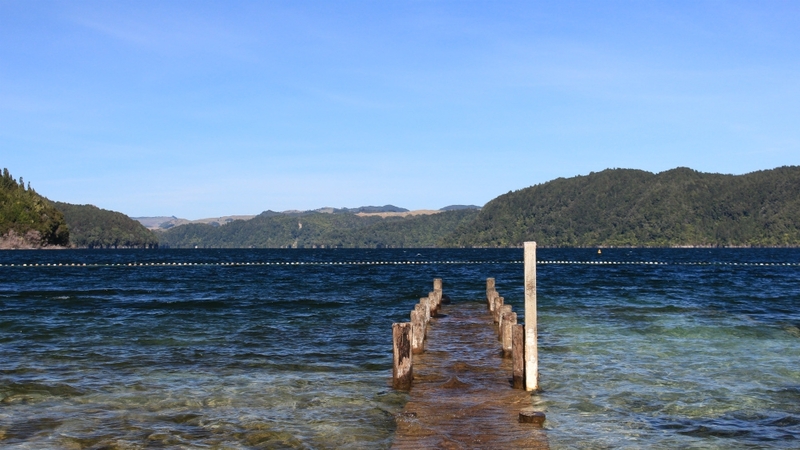 Since 2008, however, the richer waters of nearby Lake Rotorua have been diverted into Rotoiti to increase oxygen levels. Used more as a boating lake, than for fishing or watersports. View photos. 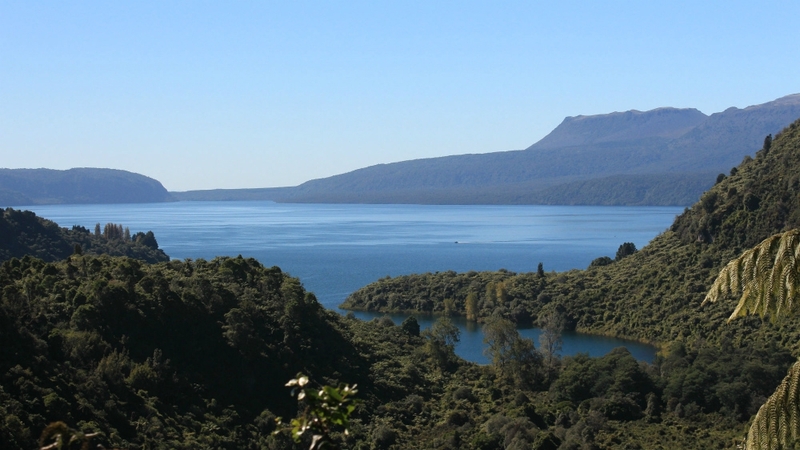 Unique because of its central forest location, Okataina sits between Lakes Rotorua and Tarawera. It is also entirely self-contained, with no outlets or inlets. Okataina has a fantastic sandy beach, a large grassy area, and is known, quirkily, for its high wallaby population. View photos. One of the more sparsely-visited lakes, visitors are guaranteed peace and quiet here. It's an ideal fishing spot, with good supplies of rainbow trout. Kayakers and boaters will also find serenity. Kokako and several other rare bird species can be seen in the bushes around the shoreline. View photos. 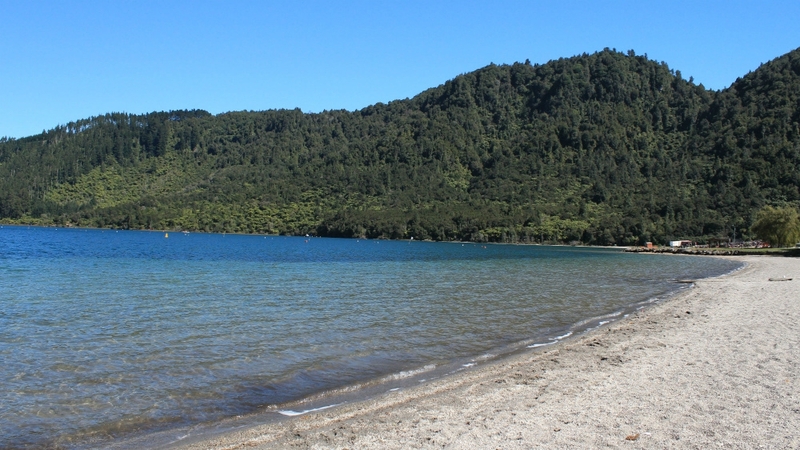 Also called Lake Ngakaro, this is a very small lake in a lovely rural setting. It's a great water-skiing spot, and is surrounded by pretty farms. It's the ideal spot to spend a couple of hours walking or horse riding around the paths that surround the shoreline. It's also close to Rainbow Mountain Scenic Reserve which has a couple of great walking tracks. 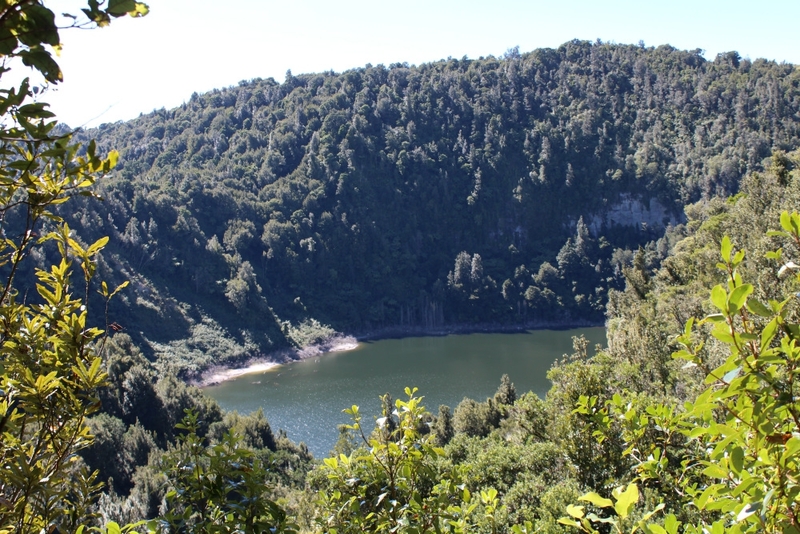 A small crater lake, Rotokawau lies about 1km east of Hell's Gate thermal park. It's popular mainly with walkers who want somewhere pretty to stroll around between tourist destinations. Not to be confused with the even smaller Lake Rotokawa, which is directly opposite Rotorua Airport. View photos. 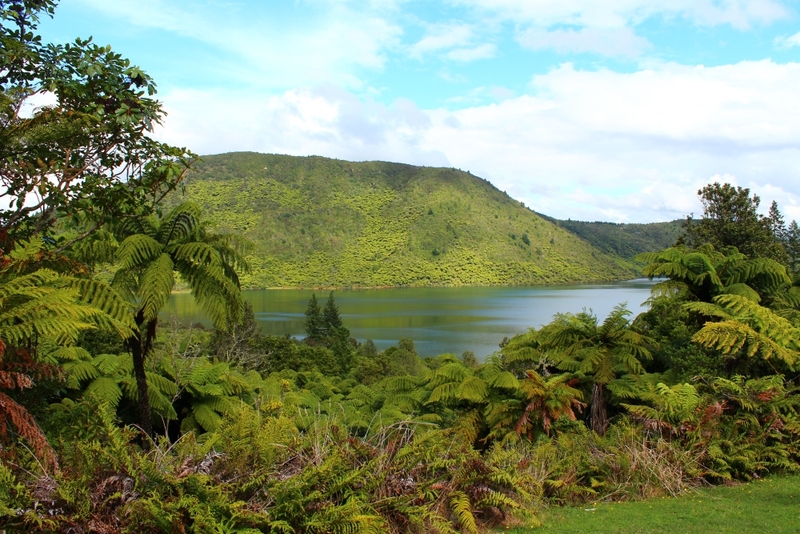 Overlooked because of its proximity to Lakes Rotoiti and Okataina, Rotoatua is a crater lake off the Lake Okataina Road. 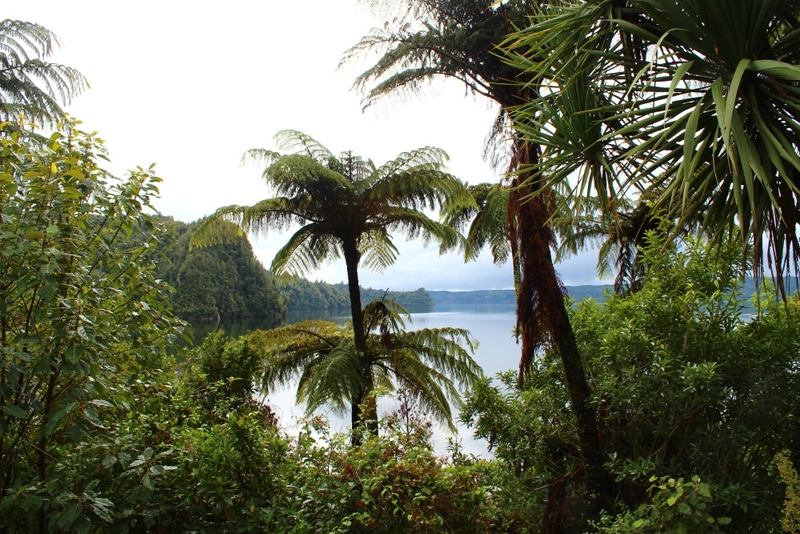 If you're a keen walker, there's a great 45-minute stroll from Lake Okataina Road that takes in both Rotoatua and Rotongata, and is considered one of the area's finest short walks. View photos. 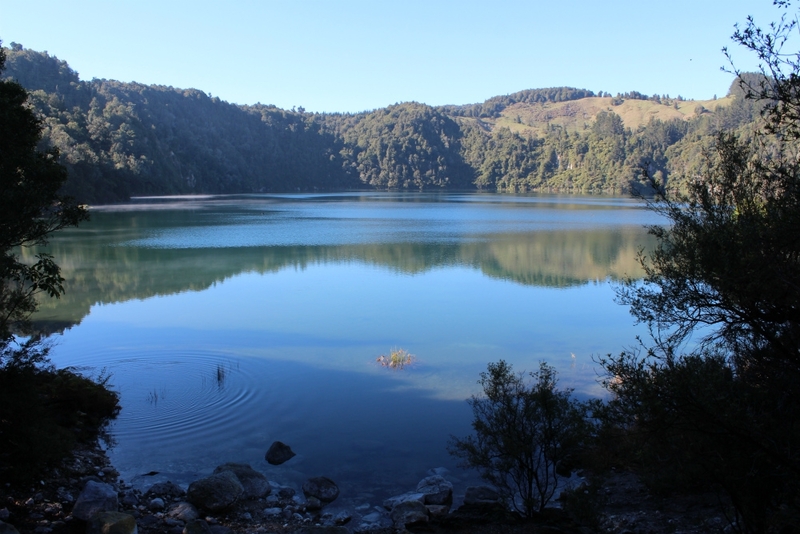 Also called the 'Mirror Lake', this lake is found just half a kilometre west of Lake Rotoatua. It's a tiny lake, but very pretty and peaceful. 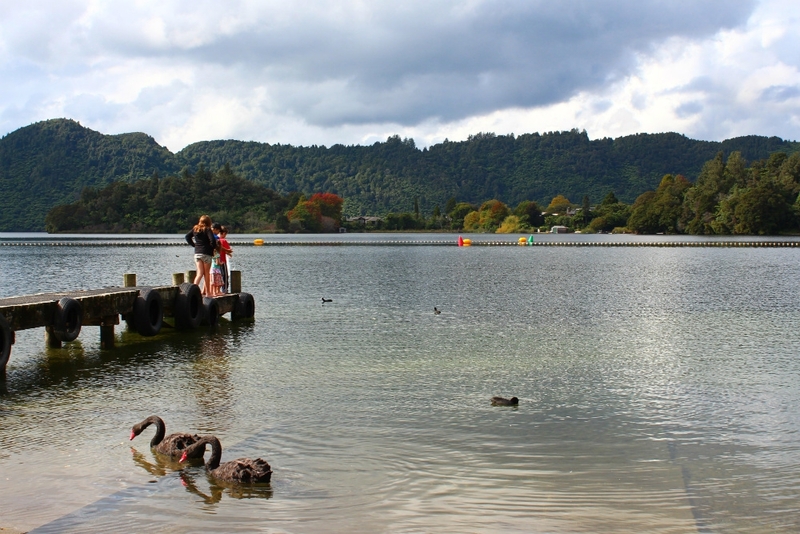 It's a nice place to stop off for a picnic if you're also visiting the nearby lakes of Rotoiti and Okataina. View photos. 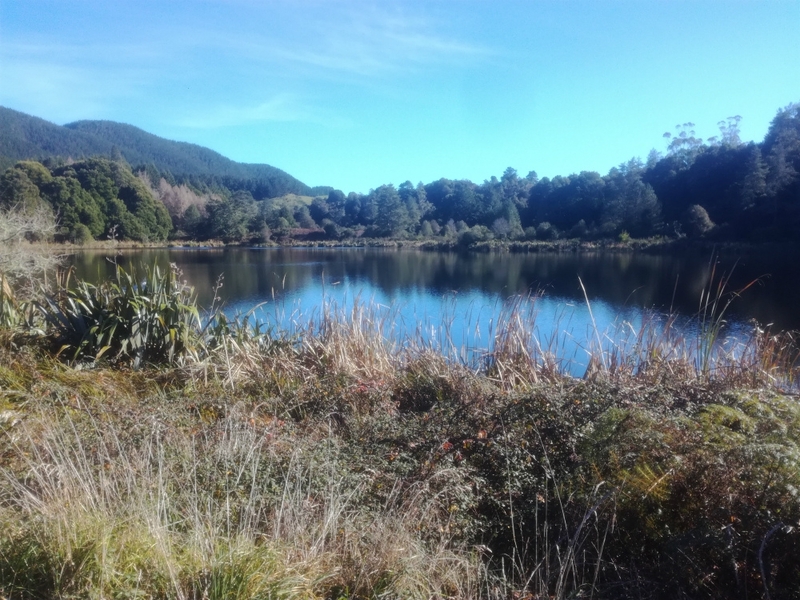 A small lake located opposite Rainbow Mountain Scenic Reserve which has a short walk to a couple of crater lakes and a 1.5 hour summit walk. 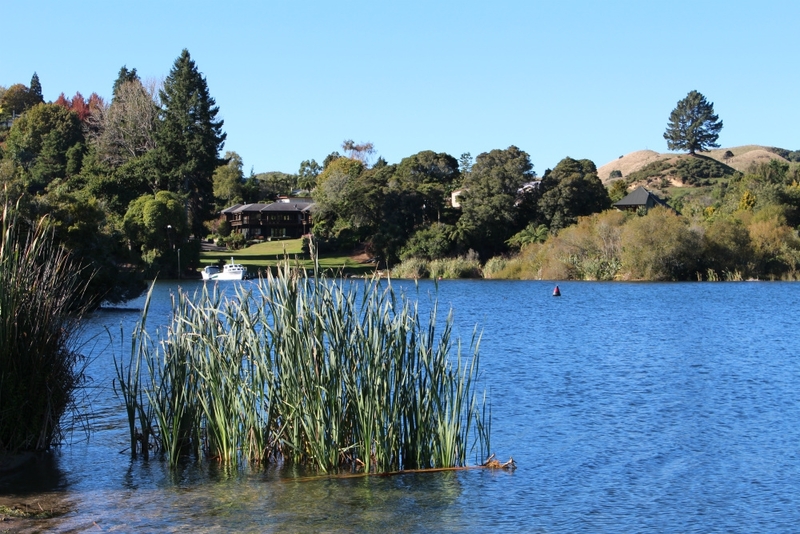 The lake has a small area to park your car and basic picnic facilities of a table and bin. The views of the lake are limited with the best views actually found on the Rainbow Mountain Summit Walk starting on the opposite side of the road. View photos.